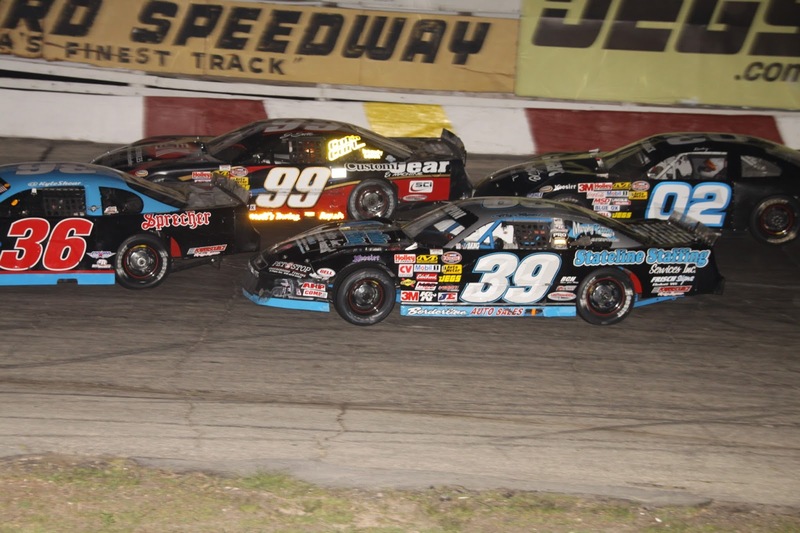 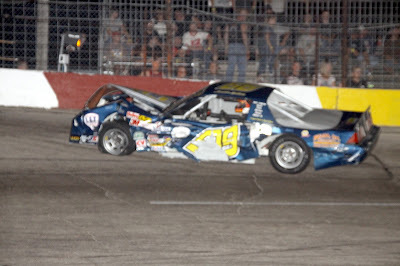 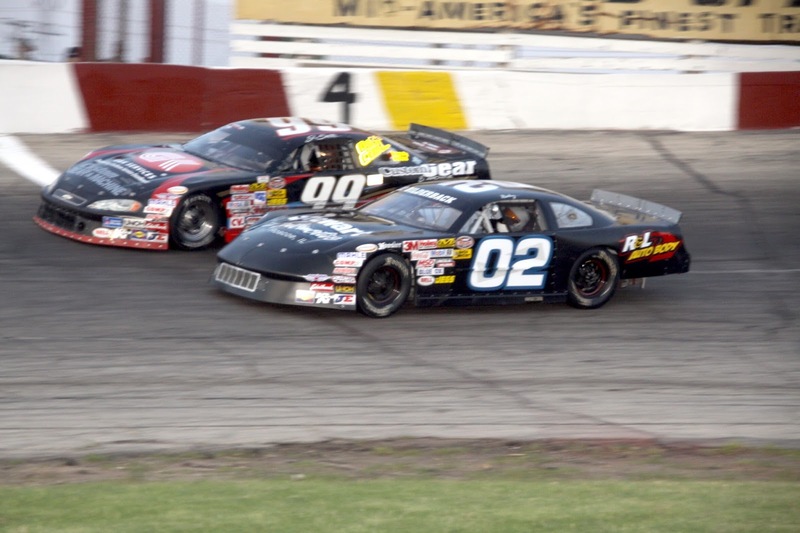 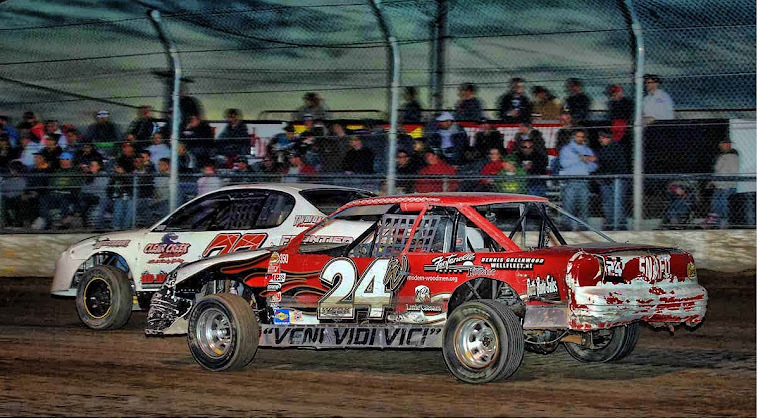 Battle of 'Champions' is 7-time Rockford Speedway Champion # 02 Ricky Bilderback, Rockton, Illinois and 3-time Rockford Speedway Champion # 99 Jerry Gille, Roscoe, Illinois battle side by side during the Stanley Steemer NASCAR Late Model feature. Kyle LaPier shows off his winning trophy in victory lane after posting the win in the American Short Tracker 25-lap feature. Looking out of focus was #99 Justin Sellers, Carol Stream, Illinois as he limps back to the pit area after being involve in a multi car crash during his feature event. 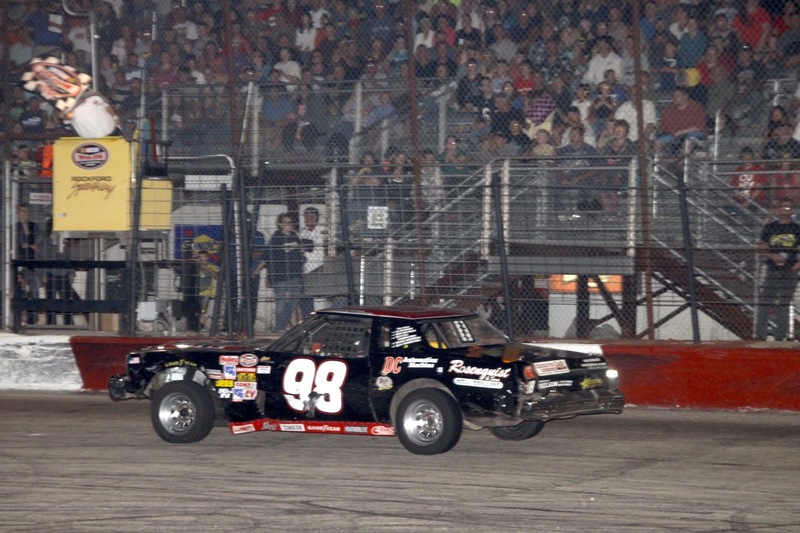 John Robinson, # 99r took home the honors in winning the Bargain Hunters Sportsman 25-lap feature. 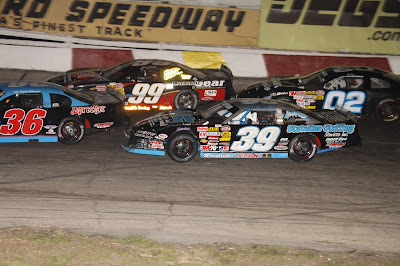 Current point leader # 39 Alex Papini, Machesney, Park, Illinois finds himself boxed in with other competitors as he attempts to overtake # 36 Kyle Shear. 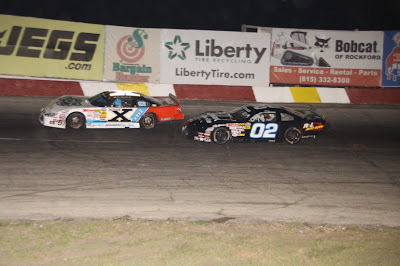 Ricky Bilderback # 02 Rockton, Illinois came from the back of the pack to battle for the lead with Driver 'X' Jon Reynolds, Jr. As stake for Ricky Bilderback was the Gerber Challenge Fund of $1,800 he could win from the back of the pack. 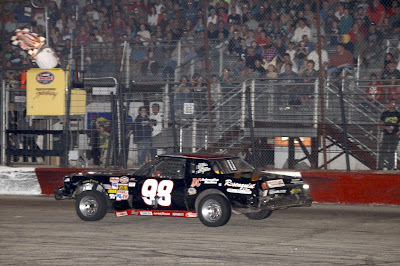 Bilderback finished third. 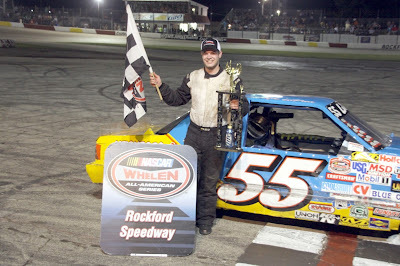 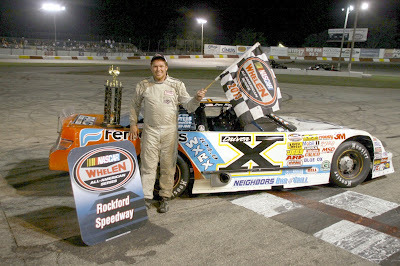 Jon Reynolds Jr, 'Driver X' in victory after winning the 30-lap NASCAR Late Model feature. 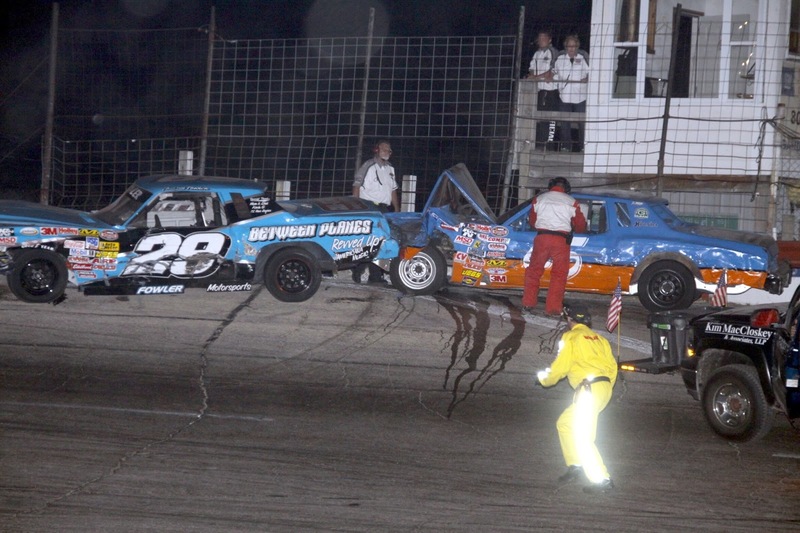 Autin Fowler # 29 Loves Park, Illinois and Adam Cartwright, Belvidere, Illinois await the help from Rockford Speedways safety crew after both cars hit the point during the RoadRunner feature. 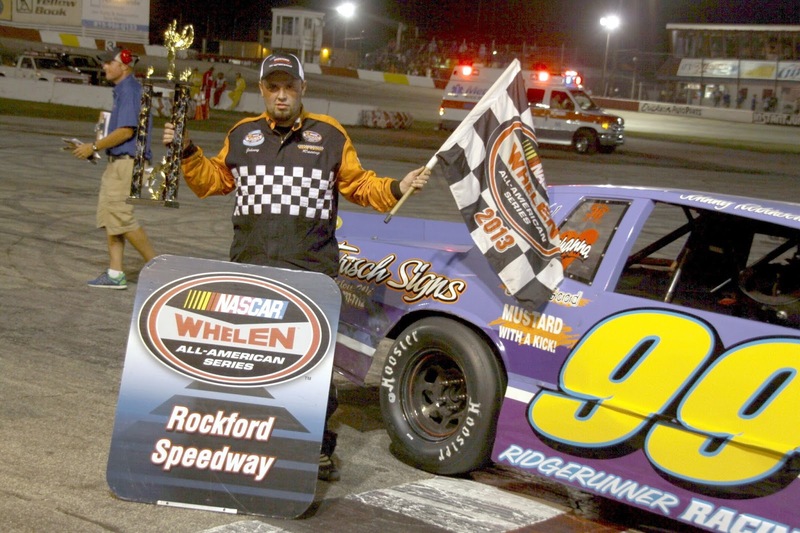 The checker flag waves over head to the 'Ole Man' # 98 Gene Marocco as he crosses the finish line first winning the RockStar RoadRunner 20-lap feature.